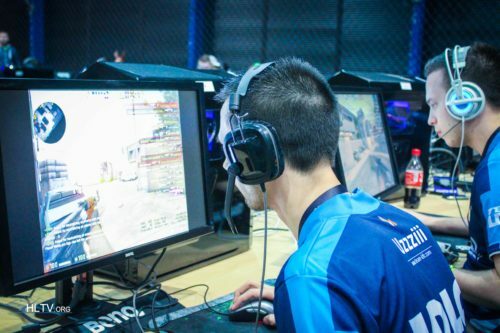 GuardiaN: "Confident playing T side"
Following Natus Vincere advancing to quarter-finals over NiP, we grabbed Ladislav "GuardiaN" Kovács for a quick interview about their two matches so far at ESL One Cologne. 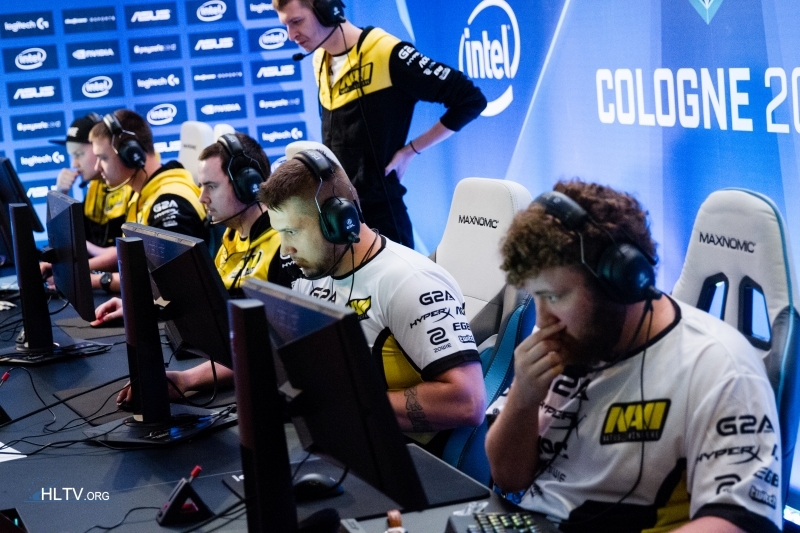 Natus Vincere kicked off ESL One Cologne with a confident performance against domestic rivals FlipSid3 yesterday, and qualified for playoffs in a nail-biter versus NiP on Cobblestone. In the following interview, we asked Ladislav "GuardiaN" Kovács about leaving three bans to FlipSid3, overall thoughts on NiP and their adaption throughout Cobblestone. I wanted to ask about giving FlipSid3 three bans in your first match, what was the thinking behind it? Well, FlipSid3 is an opponent we can play on any map and we're confident to play any map, any side. We were thinking that even if wasn't side-picking in the veto, in other tournaments we played knife rounds and always losing them. So we said that it doesn't matter, so this time we could just pass three maps and take the side, because we knew it would be either Train or Mirage. It wouldn't matter, because our map pool against them is quite huge and I think we were well-prepared for FlipSid3, so we could easily just put them as the A team. Going over to NiP, were there any surprises in the veto for you? NiP is always quite an unknown opponent for us, I don't think we played them for about three months since Malmö. But it's always a strong opponent to play against, and they started pretty well, we were down 3-8 and so we had to take a timeout and discuss it. They were just messing with us, we couldn't do anything. And then we just discussed what they were doing and what we needed to do and got some rounds. We were confident to play on T side, we always know that even if we lose 12-3, 11-4 or something, we know we can always come back on T side. We weren't stressed or anything about the score on the CT side. Touching on the adaption after the timeout, what did you pick up on from their play and how did you adapt? We knew they were doing a simple thing, one or two working towards A trying to get attention from us. We knew we could let one player play A and I could go plateau without any problems. If you're putting pressure on them, they can't do anything with that tactic, once I got killed from behind it was our failure, but I would say we read them and adapted well. We know NiP handle anti-ecos and anti-forcebuys well, but in your match you were able to win two of those. Was there anything you did specifically against NiP in those rounds? We didn't do anything special, we knew what they'd do on T side, so we did a stack towards the stairs at A. On our T side, we were doing the same as always and we knew it could work, but we needed some contact at stairs and under A, so one of us got a kill and it was a 4v4. We knew we had to just hold and someone would push, and that happened. Two guys pushed from A, got killed and we just splitted A. We know NiP cannot always sit and wait, so we knew completely that we just needed to sit down and they would come. Volodya has said "Na'Vi to win the final against Fnatic, 2-1 with Nuke at third map."